The Chicago Housing Authority (CHA) participates in the federal program “Moving to Work,” which frees it from much of the oversight that the U.S. Department of Housing and Urban Development usually exercises over public housing agencies. Through the MTW program, the CHA can pool federal funding for public housing, capital construction, and housing vouchers into one General Fund and spend money from that fund at its discretion. Normally, such federal funding has to be kept in segregated accounts by program. Because of the financial flexibility the MTW gives the CHA, the agency has been able to divert money intended for the issuance of housing vouchers to other uses. CTBA’s report, A Fiscal Review of the Chicago Housing Authority, found that over the last five years in particular, the CHA’s reserve funds have grown significantly. During that same five-year period, the CHA had an average annual surplus of $107 million. Because the Illinois legislature failed to act during the spring 2014 legislative session, both of the temporary state income tax increases that became law under the Taxpayer Accountability and Budget Stabilization Act of 2011 (TABSA) will begin to phase down halfway through Fiscal Year (FY) 2015, which begins on July 1, 2014. Under TABSA, the personal income tax rate will decline from 5 percent to 3.75 percent, and the corporate income tax rate will drop from 7 percent to 5.25 percent beginning on January 1, 2015. 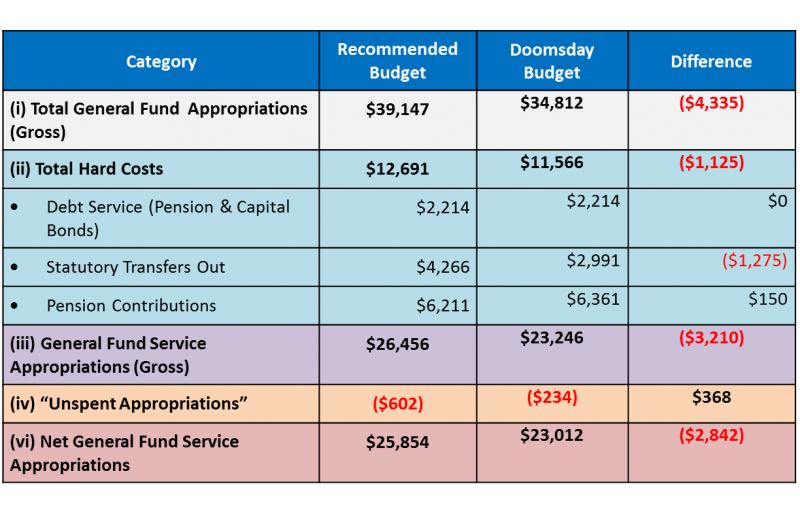 This Report provides a detailed analysis of Governor Pat Quinn’s two very different proposals for the FY2015 General Fund budget—a Recommended Budget and a Doomsday Budget. This unconventional approach to the FY2015 budget was forced on the Governor because of the scheduled phase down of the temporary tax increases in the state’s personal and corporate income tax rates that became effective in 2011. Policy leaders across Illinois have identified supporting small businesses and entrepreneurship as key to reviving the state’s sluggish economy. And no wonder, given that over 99 percent of all businesses in Illinois are “small business” as defined by the Small Business Administration. This Report, identifies best practices and policy initiatives decision makers can take to improve the state’s economy and aid small businesses in Illinois.